With 75% of the world’s economic output outside of the US, many companies look to expand internationally in order to grow their business and ultimately shareholder value. 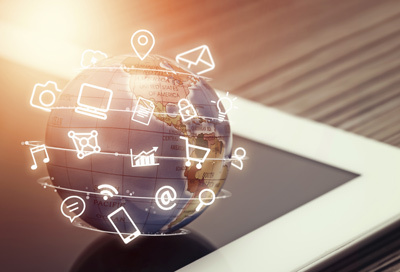 Borders are no longer barriers for brands, products and services thanks to the rise of the digital enterprise, and fundamentally the connectivity (a.k.a. the Internet) we enjoy today. The triggers for international expansion can vary from company to company. It can stem from cyclical buying patterns to requests from key customers, a strategic partner’s international expansion to domestic country saturation. Regardless, going global has its set of challenges. I recently gave a webinar with our friends at Avalara discussing the steps to take and considerations for global expansion. While you can find the entire presentation here, I’d like to highlight a few salient points. When expanding into foreign markets it is important to realize that although you may be trying to gain share in a region, you expansion strategy needs to be focused on individual countries. A common best practice for firms looking to start and international expansion is to start by targeting countries with similarities such as languages and cultures. From there you are able to build an understanding of the laws of the land—obligations to customers, imports, exports, etc. and start to expand your presence. Hidden beneath the obvious are nuances that can alter or fundamentally change how you are going to market in that country. Examples include: skillset availability, inadequate infrastructure, technology protocols and even consumer buying power. My most memorable experience about an unforeseen nuance was with a company’s fundamental business case. The company’s core value proposition was driving automation and efficiency. In the US this message resonated and the company prospered. In the expansion country, however, this value proposition was in direct conflict with their cultural core values. We needed to shift the case for doing business with us to one about employee skillset development and education of the workforce. These nuances are not showstoppers by any means, but it’s best to understand as many of these as possible up front. Many companies employ a partner strategy to break into key international markets. Partners help ease the transition into a new region, provide credibility to the market and often have an existing customer base. Partners can help bridge the gap between cultures, particularly as it pertains to translating the mission statement to the local community. As mentioned in the previous section, the subtleties can be critical to success. Keep in mind, however, partners are an extension of your brand and they need to align and by abide to your code of conduct. A company cannot turn a blind eye to partners’ business practices. Just pick up a newspaper and chances are you will here a story about where some company is being held accountable for their practices overseas (even in cases where it was their partner’s practices and not their own). This can have devastating consequences including fines or loss of privileges as well as impact to your brand. A lot goes into preparing your back office for international expansion. Understanding legal entity structures, determining how to manage delegation of authority and establishing bank accounts is just the beginning. Contracts need to be carefully reviewed and revised, as US law does not apply. The various rules and regulations may make your normal Terms and Conditions (T&C’s) inadequate or obsolete. Statutory reporting requirements will increase, as you may need to report both to the local country and the US. When expanding internationally, you need to make sure your business systems are ready to handle the complexities, multi-currencies, multi-languages and various business models that are required to successfully support the internationalization. Many customers of our agile monetization platform, TRACT, come to us because their existing systems can’t support their international strategies. Rather than rip and replace the technology stack, TRACT can serve as an adjunct engine, working beside the ERP and CRM, and bring the functionality necessary with going global. Last but not least are taxation considerations. Our friends at Avalara are experts in sales taxation and a partner of Gotransverse. Our customers rely on AvaTax software for an automated end-to-end tax compliance solution. International taxation laws can be complex. As we have moved from traditional supply chains to eCommerce, digital services and services, the rules and regulations have constantly transitioned. For each of these key areas, companies must consider the taxable statuses, taxable supply, place of supply, exemptions and who is liable for the tax. Digital services are top of mind for many of our customers. Broadcasting and telecommunications services are active players in Over-The-Top (OTT) and Internet of Things (IoT) emerging markets. Electronically supplied services (e-services), which include subscription services and digital downloads, are particularly relevant with the growing move to recurring revenue. Digital services come with there own set of taxation challenges. For example, registering and reporting Value Added Tax (VAT) in all 28 states in the European Union can be difficult and time consuming. According to Colin Matthews, Avalara senior manager of global tax, there is a new EU-wide Mini-One-Stop-Shop (MOSS) filling service that is used by non-EU suppliers. All US and non-EU suppliers must register for MOSS. Companies are going global every day. Doing you homework, thinking globally but acting locally, and having a plan is simply the beginning. The devil is always in the details. Whether it is the cultural nuances, legacy systems, or tax laws — Gotransverse and Avalara can help you out.